Mercure Goa Devaaya retreat is among the best healing places in the country. 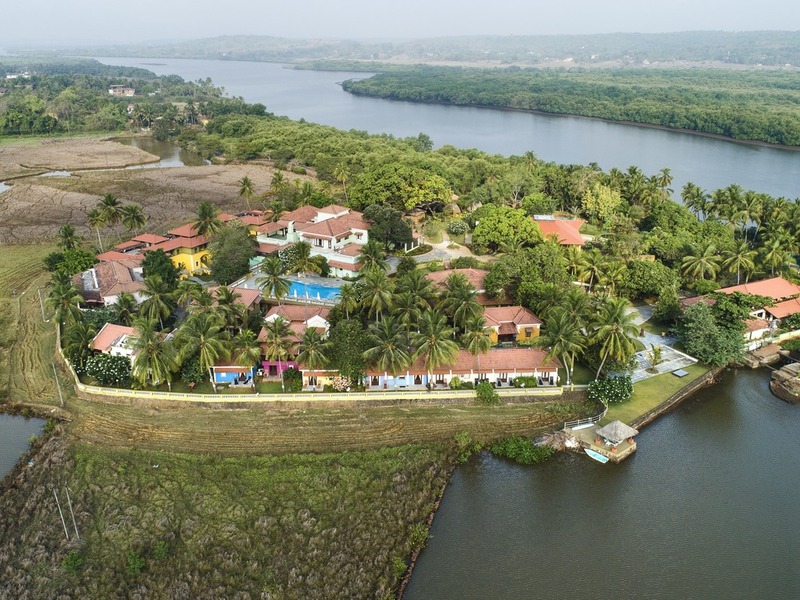 Situated on the serene Divar Island in Goa, it provides an holistic treatment route through Ayurveda, Naturopathy and Yoga under one roof and follows integrated alternative medical treatment. It is currently a preferred destination for treatment seekers from across the globe because of its exquisite location, professional service and, above all, the best in healing and tranquility. The retreat emphasises on the convergence of Ayurveda, Naturopathy and Yoga. Dining at the riverside restaurant is an unforgettable experience. We offer a range of soothing treatments in a tranquil ambience. Our diets are tailor made to suit your unique body needs. Our skilled team of doctors and therapists help rejuvenate the body, mind and spirit. The centre has 57 rooms with Free WIFI, private balcony/cozy sitout area, work desk, and shower in all rooms. Access to swimming pool, fitness centre, and retreat services. Our Goan Portuguese styled rooms with modern amenities are sure to wow you. With its unique wooden architecture and scenic river and mangrove views, the restaurant is an ideal place to savor your meal. It serves an Ayurvedic vegetarian breakfast and lunch menu. An all-day dining poolside restaurant with a view of coconut trees and the Portuguese-style villas. It serves a healthy macrobiotic, body-type specific menu, including Ayurvedic, European, and Indian delicacies to suit individual palates. Adjutant to the swimming pool, the AC restaurant a comfortable setting to relish a well planned wellness à la carte vegetarian menu. Dinning at river side deck restaurant is an unforgettable experience with a breath taking view of Mandovi river, serving healthy snacks and juices.